It's time to remind him of Governor Pritzker of this commitment, and ask him to work with John Kim, Acting Director, Illinois EPA to require Dynegy-Midwest Generations to move its toxic ash from the floodplain of the Middle Fork, Illinois' National Scenic River. That's the only permanent solution for the leaking ash pits that are vulnerable to the natural forces of this meandering river. Read the letter, below. Then add your contact information in the form to the right to access the letter and send. Personalizing the letter will have the greatest impact. I am writing to relay my concerns over the presence of a significant health and safety threat to the Middle Fork of the Vermilion, one of the most vibrant and ecologically-diverse rivers in the Midwest. 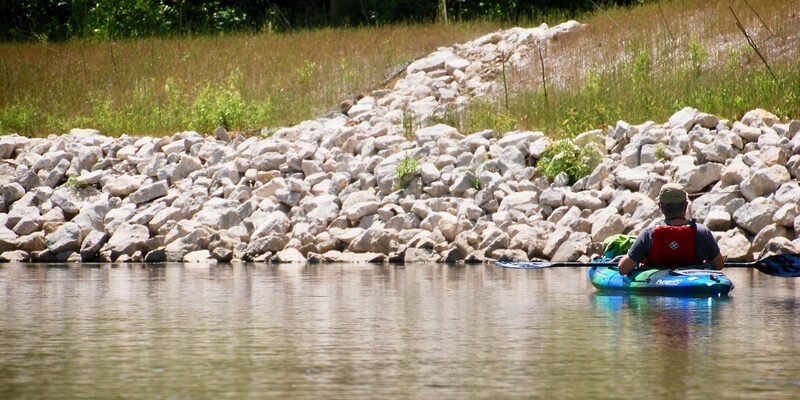 It is Illinois’ National Scenic River, and has a regional recreational draw that boosts local economies. But over 3.3 million cubic yards of coal ash is stored in unlined, leaking pits in this river's floodplain, and heavy metals and other toxic chemicals are flowing into the groundwater and river. Coal ash can cause birth defects, cancer, and neurological damage in humans and can harm and kill wildlife. In 2012 and 2018 the Illinois EPA issued notices of violation to Dynegy for its contamination. But instead of moving the ash, Dynegy wants to cap its pits, build a 1/3-mile long wall consisting of rip-rap and other fill to protect its toxic waste, and permanently leave the coal ash in the river's floodplain. Capping the coal ash pits won't stop this pollution, since they are unlined. Governor Pritzker, the only way to stop the pollution is to tell Dynegy to move its toxic waste. The Middle Fork is a meandering river that is moving west toward the coal ash pits. At one time, Illinois Power (who built the coal plant) considered moving the river channel to protect its ash pits. Instead, they installed gabions (wire cages with rock) to stop erosion. But the river has ripped these gibbons from the its banks, leaving them, once again, vulnerable to erosion. Dynegy cannot cap its pits unless it also stabilizes adjacent riverbanks. But Dynegy is proposing a massive, 1/3-mile long project with over 22,000 cubic feet of fill, including rip-rap that will leave a visual scar on the otherwise natural river corridor. The project also will degrade water quality from excavation of the contaminated riverbed and riverbanks. And it will have devastating economic consequences for the operator of the canoe and kayak livery in Kickapoo State Park, because paddlers will be required to portage 2,000 feet or more around the construction site, and may not return. Even the most robust bank stabilization will not last forever. The gabions put in place by Illinois Power began to disintegrate and fall apart after a few decades. Why should Vermilion County residents be left with a legacy of toxic coal ash, if an “armor, cap and leave” solution is approved? Who will pay for monitoring, maintenance, and repair of this stabilization project, after Dynegy leaves or potentially goes bankrupt? Who will pay for cleanup, in the event of a catastrophic spill? The only way to protect the river from a potential coal ash spill is to move the ash far from the river, and to provide INTERIM, targeted stabilization now, as we enter another season of storm events. It will be many months before agencies complete their review of plans for both closing the ash pits and stabilizing the banks, and leaving these banks unprotected for another season leaves them vulnerable to a breach. The Middle Fork is our only National Scenic River. 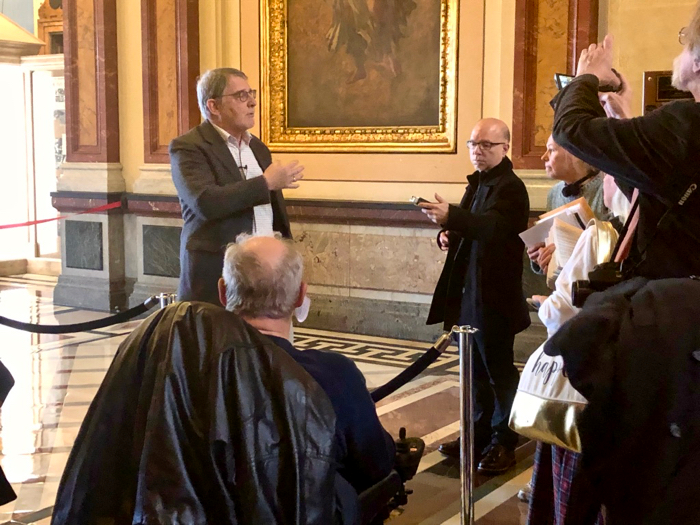 Governor Pritzker, we want you to help us protect it. Tell Dynegy to move its ash! Use the form below to write Governor Pritzker and IEPA Director Kim today. Urge them to stop the massive bank stabilization project proposed by Dynegy and require Dynegy to move its toxic waste away from the Middle Fork. Moving the ash is the only solution that will protect the river from ongoing pollution and communities from a catastrophic coal ash spill. We’ve Got a Middle Fork Hearing! We've Got a Hearing. And We Need You to Attend! Over 22,000 cubic yards of rip-rap and other fill would be placed along a 1/3-mile section that would extend 30 or more feet into the river channel. Construction would require digging up to 8 feet into the riverbed. Soils contaminated with coal ash chemicals would be excavated, potentially sending pollutants downstream. The river would either be closed to paddlers during construction or paddlers would be required to portage over 1/3 mile around the construction site. This project will create a permanent visual scar that will detract from the river's free-flowing character and natural beauty. These values were recognized by the U.S. Department of the Interior as fundamental to the designation of the Middle Fork as a National Scenic River. The project could be built BEFORE the Illinois EPA decides whether Dynegy can cap its unlined, leaking coal ash pits, and leave them permanently in the floodplain of the state's only National Scenic River. No one disputes the fact that riverbanks need to be protected while agencies move through their review and approval process. At the People's Hearing held in Danville on June 11, 2018, Rick Cobb of the Illinois EPA said it was likely that INTERIM stabilization would be required for that reason. What If This Is the ONLY Hearing We'll Have? Approval of Dynegy's closure plan involves many agencies. The U.S. Army Corps of Engineers recently shared they are not likely to hold a hearing, despite all the requests made. And,the Illinois EPA, Division of Public Water Supplies has, to date, declined to hold a hearing. That is what led to EJC's decision to host a People's Hearing this past June. This 401 Water Quality Certification hearing hosted by the Illinois EPA could be the ONLY agency-sanctioned opportunity we have to comment on Dynegy's plan to cap, armor riverbanks next to the ash pits, and leave the toxic waste in place. While the focus of this hearing is on water quality and use of the river, we think this is an opportunity to share other concerns associated with Dynegy's planned cap and leave project. Need a Ride to the Hearing? Build a 1/3-mile Long Wall to Protect Coal Ash? We Say No! Dynegy ... Move Your Ash!! Eco-Justice Collaborative and our friends at Prairie Rivers Network have scheduled three opportunities to help you prepare oral and written comments. We'll discuss the narrow focus of the hearing, and how to maximize impact of oral testimony or written comments. Plan to attend one of these briefings, and bring along a friend or two. Download talking points to help prepare for these briefings. Here are some suggestions for actions you can take to help spread the word and comment on the project. All are easy, but important. Share our facebook event to maximize attendance at the hearing. We have 800 seats to fill. Share our hearing flyer via email and facebook. Send a letter to the National Park Service. Dynegy's riverbank project does not comply with the Wild and Scenic Rivers Act. The National Park Service can withhold their approval. Send a letter to Governor Pritzker and Illinois EPA Acting Director John Kim. Let them know the only way to protect the river and Vermilion County is to require Dynegy to move its ash out of the floodplain, and place it in a properly-constructed, lined, and monitored landfill away from the river. Install a yard sign. This is a great way to show support for moving Dynegy's coal ash, and solicit interest in the campaign. If you can pick it up from our Champaign office - or if we can drive it to you, it's yours. We'll also bring some signs to each briefing. Who Can Stop Dynegy? The NPS! 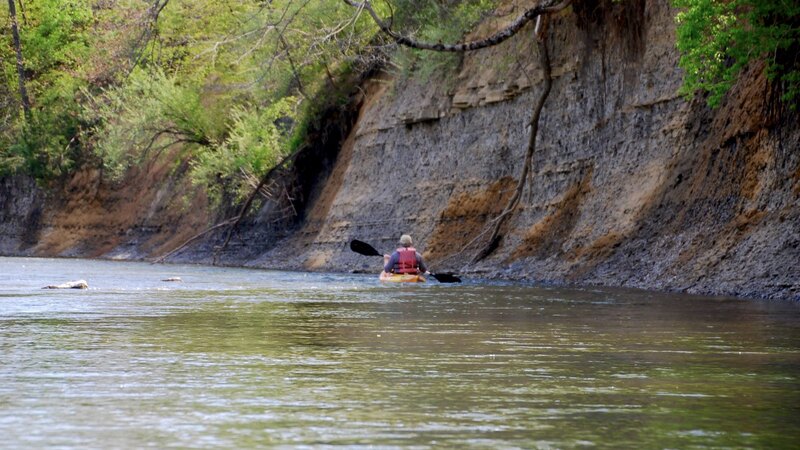 Dynegy, recently submitted a permit application to the U.S. Army Corps of Engineers for approval to install over a third of a mile of rip rap along bank of the Middle Fork, immediately upstream from Kickapoo State Park. This massive project is the first step in Dynegy’s plan to cover and permanently leave 3.3 million cubic yards of toxic coal in unlined, leaking pits along the river. River advocates believe that Dynegy should move their ash to an upland, properly lined facility. By doing so, only short-term, interim and targeted bank reinforcement would be necessary to protect the river from the coal ash. This massive project is the first step in Dynegy's plan to cap and leave 3.3 million cubic yards of toxic coal ash in the floodplain of Illinois' only National Scenic River. Tell the National Park Service they should follow requirements of the Wild and Scenic Rivers Act and withhold their approval. Click here to send your letter. Because the Middle Fork is a designated National Scenic River, Dynegy’s proposal must receive approval from the National Park Service (NPS). The NPS, along with the the Illinois Department of Natural Resources (IDNR) as the state administrator, are bound by Sections 7(a) and 10(a) of the National Wild and Scenic Rivers Act to protect and enhance the river’s free-flowing condition, water quality, and outstanding remarkable values for which the river gained its designation. These values include scenic, recreational, ecological, geologic and historic resources. Artificially constrain the river’s free flowing condition. As planned, 11,500 cubic yards of rip-rap and stone toe protection, and an additional 2,000 cubic yards of soil would be placed below the ordinary high water mark for a distance of 2,000 linear feet. Degrade water quality in the river. The proposal would require extensive excavation of soils and sediments within the bed and bank of the river. These materials are known to be contaminated with heavy metals and would be conveyed downstream. Harm recreational use of the river. Construction of the project would take place from the river during prime recreational months when the water levels are low. While plans to construct a portage are under consideration, it is unlikely that most using the river will be willing to carry canoes, kayaks and gear for over 1/3 of a mile to avoid construction. And those who do may choose never to return to the Middle Fork. Degrade the scenic value of the river. Adding 2,000 feet of white, limestone rip rap along the west bank of the river next to the coal ash pits disrupts the natural character of the river, which is one of the reasons it received its designation. Dynegy's plan wold add another 2000 feet of white, limestone rip-rap along the west bank of the Middle Fork in an attempt to keep the river from breaching abutting coal ash pits. This project would harm the river, impact recreation, and degrade the scenic value of this National Scenic River. Photo by Pam Richart, Eco-Justice Collaborative. 2018. Make a Difference. Write the National Park Service Today! Remove the coal ash pits. Remove the rock protection installed for stabilization, when the ash pits are relocated to restore the riverbank to a more natural condition. Remove the pump house, downstream of the New East Ash Pit, which no longer is functional. Remove the coal plant stack. Continue coordination between stakeholders and agencies regarding the long-term restoration potential at the Dynegy site and the need for a comprehensive approach to riverbank management. We agree with this assessment, and hope you do, too. Dynegy's most recent plan to build another 2,000 feet of wall means there would be rock wall along the west bank of this National Scenic River that is nearly 1/2 mile long. The plan also would provide tacit endorsement for leaving 3.3 million cubic yards of coal ash within the floodplain of the river, a condition that is unnecessary and antithetical to the Middle Fork’s National Scenic River status. The National Park Service cannot determine that this project, with its attendant impacts, is consistent with the Wild and Scenic Rivers Act. We need you to give the NPS the support it needs to withhold its approval. Please use this form to send a letter to the National Park Service today. While you can send the form letter, it will have far greater impact if you use these talking points to personalize your letter. Pam and Lan Richart, Eco-Justice Collaborative were interviewed this morning by Mike Nowak of the Mike Nowak Show with Peggy Malecki to share updates on the Protect the Middle Fork Campaign and initiatives to stope the growing coal ash crisis in Illinois. Here's where you can go to help stop Dynegy's plan to leave 3.3 million cubic yards of coal ash in the floodplain of the state's only National Scenic River. Tell the National Park Service they need to follow the law, and withhold their approval of a massive riverbank stabilization project. Click here to show your support for coal ash legislation or a coal ash rule (or both). Enjoy the post that Mike wrote before today's interview. Middle Fork of the Vermilion is the state’s only officially designated wild and scenic river. Unfortunately, it is now being acknowledged for a more dubious distinction. On April 9, it was named one of America’s Most Endangered Rivers® of 2018 by the American Rivers organization. Incidentally, 2018 marks the 50th anniversary of the Wild and Scenic Rivers Act. This was an introduction to a conversation with Pam and Lan Richart, co-directors of the Eco-Justice Collaborative (EJC), and long-time friends of The Mike Nowak Show with Peggy Malecki. At the time, they were spreading the word about some 3.3 million cubic yards of coal ash, sometimes known as coal combustion residuals or CCR in unlined, leaking pits in the floodplain along the Middle Fork of the Vermilion. The story goes back fifty-five years to the construction of the Vermilion Power Generating Station, a coal-fired power plant, that was built by Illinois Power along the west bank of the Vermilion River in 1956. It was purchased by the energy company Dynegy in 2000, which operated the plant until 2011, when it was decommissioned. In April of 2018, Vistra Energy Corp. merged with Dynegy, with the new company operating under the name Vistra. Are you still with me? Coal ash is already contaminating ground water in the area, something that was documented by Dynegy itself. That lead the Illinois Environmental Protection Agency (IEPA) to issue a Notice of Violation in July of 2012. Subsequently, Dynegy proposed what is being called a “cap and leave” solution. They want to permanently cap the coal ash, “stabilize” the nearby river bank, wipe their hands and pat themselves on the back for a job well done. But with water already seeping into and through the coal ash, that’s not acceptable to people who believe–and rightly so–that the river banks will eventually be compromised anyway. So, the folks at EJC continue to agitate for a real solution. A little more than a month after we spoke to Pam, Lan and Andrew Rehn, water resources engineer with Prairie Rivers Network, EJC convened a “People’s Hearing” June 11, 2018, at Bremer Conference Center, Danville Area Community College. Then, in November, Eco-Justice Collaborative and the Protect the Middle Fork Citizens Group joined Prairie Rivers Network, the Environmental Integrity Project, Earthjustice, and the Sierra Club in Springfield as they released “Cap and Run: Toxic Coal Ash Left Behind by Big Polluters Threatens Illinois Water” a new report on groundwater pollution across Illinois due to toxic coal ash left behind by Big Polluters. There are more than two dozen coal ash dumpsites spread across Illinois that contain over 80 individual ash ponds and landfills. Almost all of these ash dumps sit right next to rivers and lakes, separated from them only by thin earthen embankments. They are disproportionately located in communities with limited resources but pose a threat that extends far and wide. The vast majority of coal ash ponds in Illinois are unlined. Just two of thirty-five reporting Illinois coal ash ponds have liners. This means there is little or nothing stopping the toxic pollution in those ash ponds from leaching into groundwater. These dumps are leaching toxic pollution into groundwater. Our report shows that 22 of 24 power plants for which we have groundwater monitoring data are leaching unsafe levels of dangerous pollution into Illinois waters. Coal ash pollutants at unsafe levels in Illinois groundwater include but are not limited to arsenic, boron, cadmium, cobalt, lead, selenium, and thallium. The first week of 2019 found EJC fighting the latest proposal by Vistra/Dynegy to “solve” the problem. This past summer, Dynegy Midwest Generation submitted an application to the U.S. Army Corps of Engineers for riverbank stabilization. Remember that? It’s the first step in “cap and leave.” EJC responded on January 7 with a detailed comment letter to the U.S. Army Corps of Engineers, objecting to the plan. Disrupt nearly 5 acres of stream bank and stream bed for the 9 to 12 month construction period, with the potential to adversely impact the river and its biological systems. Alter the stream channel, resulting in changes to hydraulics that could have cumulative negative effects on areas immediately downstream. Add over 1/3 mile of hardscape that could have lasting impacts on downstream flow dynamics, bedload and sediment transport. Require construction in the river (as much as 70 feet into the channel), because there is insufficient room between the channel and the coal ash impoundments to place equipment. Degrade the scenic value of the river by placing 2,000 feet of rip rap along this otherwise undeveloped river corridor. EJC suggests that Dynegy, which reportedly is planning to dispose of about 60% of the ash, remove ALL of it, and recycle into products like concrete. This battle is a long way from over. But in the era of climate change, which we discussed last week with MWRD Commisioner Debra Shore, rain events in the Midwest are unpredictable, and 3.3 million cubic yards of coal ash sitting in a flood plain is a recipe for disaster. Pam and Lan Richart join us again this morning to continue the story. Meanwhile, you can take action by writing to your local elected officials to urge them to protect what’s left of our clean water. Build a riverbank stabilization project along 2,000 feet of eroding riverbanks next to Dynegy’s two oldest ash pits. This includes the installation of 11,500 cubic yards of riprap and stone toe protection, and 2,000 cubic yards of soil and live branch layering. 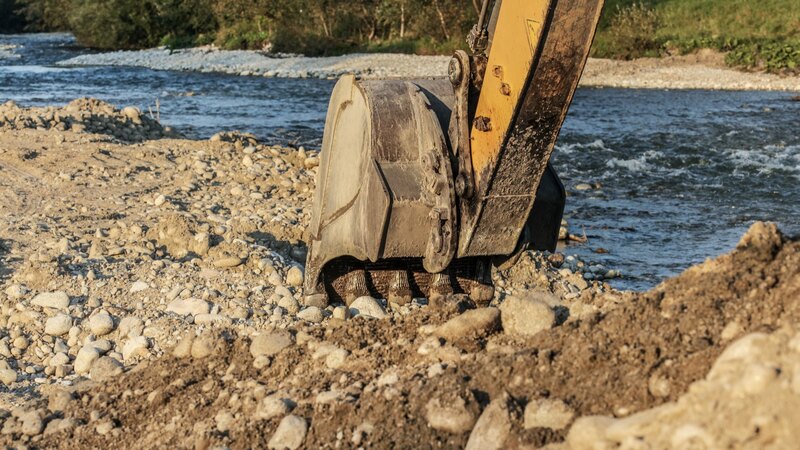 Excavate and remove approximately 9,000 cubic yards of existing riverbed and bank material below the ordinary high water mark. Excavation would extend over 30 feet into the river channel, and over seven feet below the bed of the river. In some sections, the construction zone would reach approximately 70 feet into the river. On November 26, the DA issued a Public Notice for the project, which opened a public comment that ended on January 10th. During that time, Eco-Justice Collaborative worked with community, environmental, business organizations and the general public to submit nearly 300 comments to the DA, raising concerns over the project and asking for a public hearing. On January 7, 2019, Eco-Justice Collaborative (EJC) sent our detailed comment letter to the U.S. Army Corps of Engineers (DA), officially objecting to the issuance of a permit by the DA for Dynegy Midwest Generation’s riverbank, and asking the DA to require an Environmental Impact Statement (EIS) pursuant to the the National Environmental Policy Act of 1969 (see Code of Federal Regulations, Part 32, Section 65.41). The following is a summary of our letter of objection, including the legal basis of our request for an EIS. The full letter can be viewed here. The Public Notice issued by the DA indicates that the purpose of the project is to “construct streambank stabilization”. However the purpose of the project cannot be the project. In this case, riverbank stabilization is being requested to protect unlined, leaking, coal ash pits, built in the river's floodplain. There is no other need to stabilize banks along this 17.1-mile, meandering scenic river. Therefore, the purpose of the project should be expanded to identify need, and a full set of alternatives developed and provided for public review and comment per requirements of the National Environmental Policy Act of 1969. Disturb soils and riverbed sediments contaminated by leaching coal ash chemicals, degrade water quality and redistribute coal ash pollutants downstream where they may be ingested by fish and other aquatic biota or come in contact with recreational users of the river. Chemicals include arsenic, barium, boron, chromium, manganese, molybdenum, and sulfate. These are characteristic of coal ash and are known to be harmful to public health. They can cause cancer, reproductive problems and neurological disorders in humans and wildlife. Disrupt nearly 5 acres of stream bank and stream bed for the 9 to 12 month construction period, with the potential to adversely impact the river and its biological systems. The cumulative impacts of existing pollution and additional stress generated by in-stream construction and the dispersal of contaminated soils from the bank and bottom of the river could negatively affect aquatic biota in the river. This includes threatened and endangered mussels and fish (e.g., Bluebreast darter). Add over 1/3 mile of hardscape that could have lasting impacts on downstream flow dynamics, bedload and sediment transport, which could adversely affect important fish and invertebrate populations downstream. Require construction in the river, because there is insufficient room between the channel and the coal ash impoundments to place equipment. The construction zone would extend up to 70 feet into the channel. This would inhibit or prevent recreational use of the river for significant periods of time, particularly since construction would need to take place when water levels are low, which generally coincides with prime recreational months. Degrade the scenic value of the river by placing 2,000 feet of rip rap along this otherwise undeveloped river corridor. The scenic qualities of the Middle Fork are what make this river an important recreational destination for tens of thousands of people each year, forming the basis for a robust recreational economy. It is our opinion that a practicable alternative exists that would have less impact on the aquatic system. This includes removing the waste from the floodplain, and relocating it on Dynegy’s property away from the river and its floodplain. It may be possible to recycle - or beneficially reuse - some of the ash, thereby minimizing the volume of the waste that needs to be stored on site. Using coal ash to make concrete, for example, is one way to physically change the coal ash and encapsulate the toxic elements while reusing a waste material. Dynegy’s closure plan proposals submitted last fall indicated they expected to be able to recycle about 60% of the ash, reducing the amount of ash stored on site to about 40%. Reusing the ash not only protects the environment, but can help local companies build better, more durable roads, bridges, and other projects. Responsible cleanup—excavating the ash and putting it into a landfill or recycling it for use in concrete—will create more and longer-lasting cleanup jobs, improve nearby property values, help drive economic development, and generate tax revenue. The Middle Fork is a naturally-meandering river that is moving west toward Dynegy's three unlined ash pits, which collectively hold 3.3 million cubic yards of toxic ash. The river is severely eroding abutting riverbanks, raising concerns that impoundments will be destabilized and send millions of gallons of toxic ash into the river. This would have severe consequences to the ecology of the river system and cost to residents and businesses in Vermilion County. This National Scenic River needs to be protected. Riverbanks next to the coal ash pits need to be stabilized as long as the toxic waste is remains in the river’s floodplain. But such stabilization should be temporary and targeted, while a thorough evaluation of this project (including purpose and need; analysis of alternatives; and proposals for mitigation) are conducted per requirements of the National Environmental Protection Act. If the coal ash is moved, interim bank stabilization may also be necessary, but large-scale and environmentally-damaging bank stabilization could be avoided. Download EJC's January 7 Letter of Objection to the U.S. Army Corps of Engineers.